I mention elsewhere that my strength in aphid biology and taxonomy is the subfamily Aphidinae. 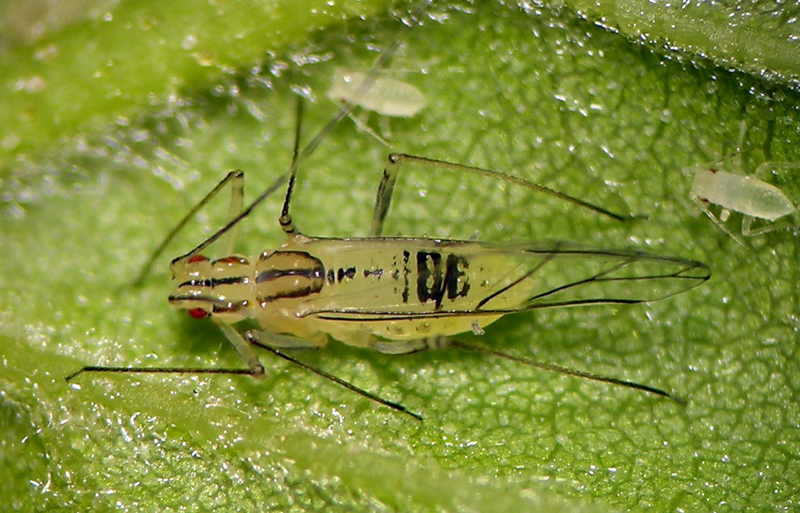 This genus, Calaphis, is the namesake of another large subfamily, Calaphidinae. 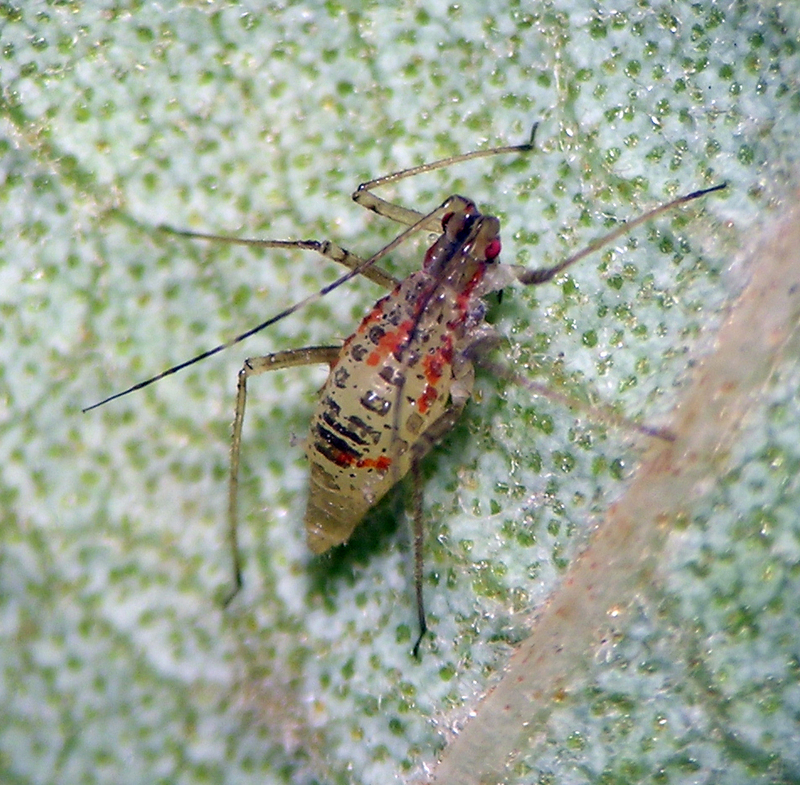 These aphids are comparatively well-known and identifiable, due to their host plants being mostly trees (making the aphids more apparent than others) and due to very good taxonomic research by various authors such as F.W. Quednau, who I was lucky enough to correspond with for a couple decades. Here is one of those interesting finds that someone else might publish if they want to — Calaphis betulella living on the west coast. Calaphis betulella alate vivipara from ornamental Betula nigra in central Washington. This species is known to live only on a birch native to eastern North America, Betula nigra. For the past several years I have known this aphid living on ornamental B. nigra in both Washington and Idaho. As often happens with introduced species, this aphid sometimes reaches very dense populations on trees growing in landscapes and parks. I am very happy with these photos of one of the prettiest aphids I’ve photographed. Calaphis betulella ovipara on Betula nigra in central Washington.